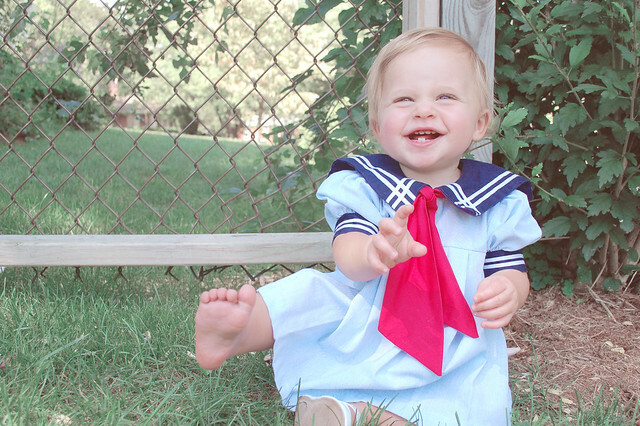 Elizabeth M Jacob: little sailor girl. she sat in our backyard, her blue eyes gazing from the soaring green trees to the colorful garden. 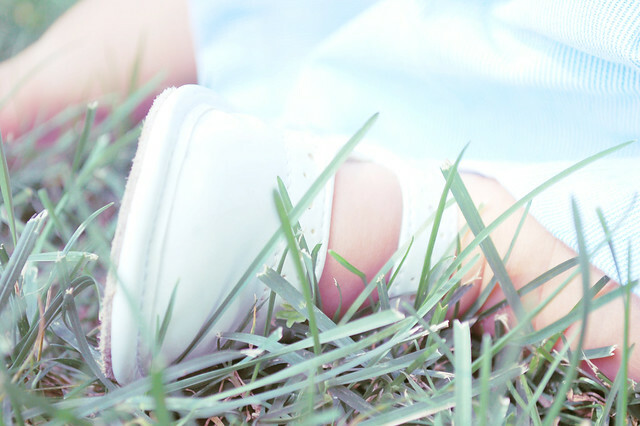 she pointed up towards the open sky and giggled. a bird gently circled over our heads. 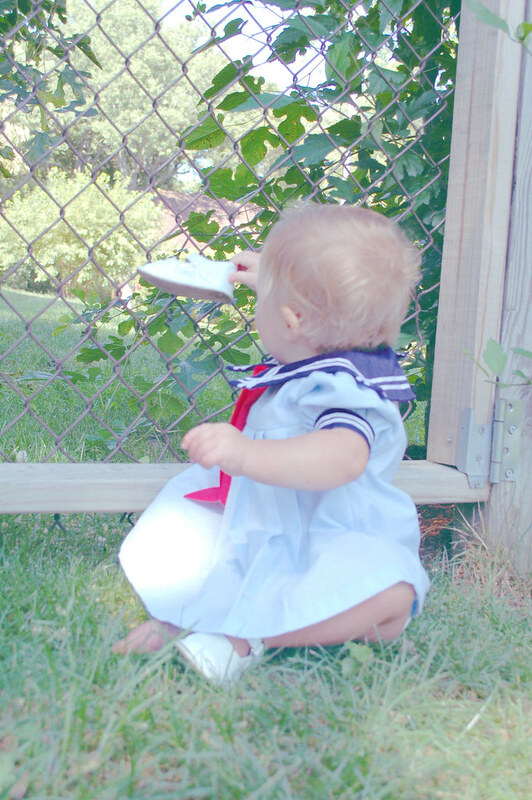 she stood, with one shoe on, by the fence. waiting for a glimpse of daddy. as we waited we laughed and played on this warm summer day. 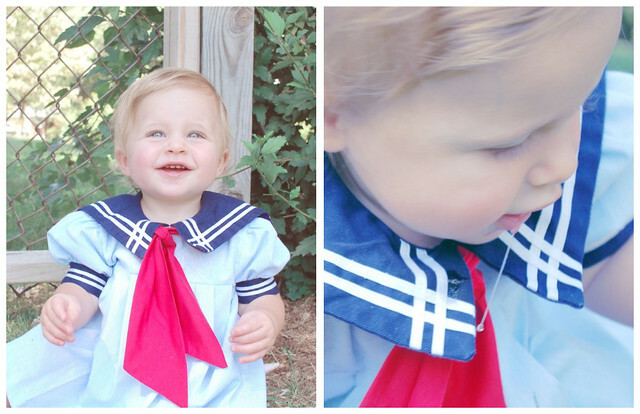 Jessica is wearing a vintage sailor dress. 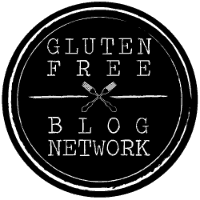 head over to Mama Loves Papa for some more Small Style! What gorgeous blue eyes! 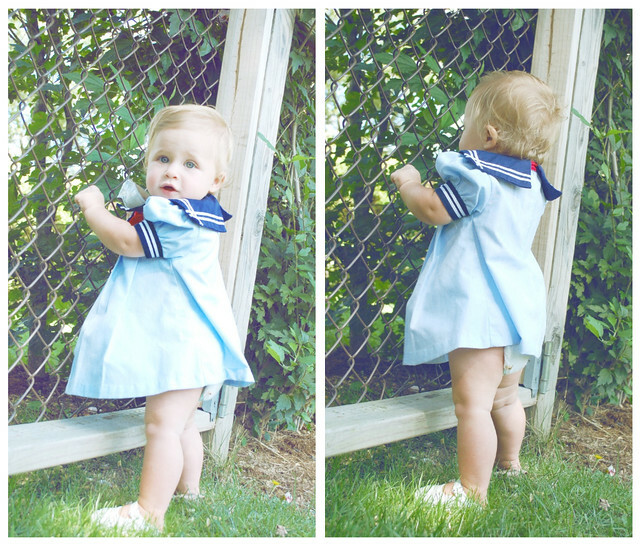 Can I tell you that I'm lusting after a vintage sailor outfit. I'd better get one for next summer - before my girl is too old to wear them. Love the pop of colour the scarf provides. seriously... can I have her? My little sister had that dress, Jessica looks just as cute as she did 24 years ago. Oh gosh, too too cute!! so precious! that dress beyond adorable. and those big blue eyes. she is just to cute for words. what a cutie. beautiful blue eyes. she is such a doll and the dress goes swimmingly well with those eyes! Such a pretty baby. Love these photos. Beautiful little girl :) I want one of those dresses in my size! 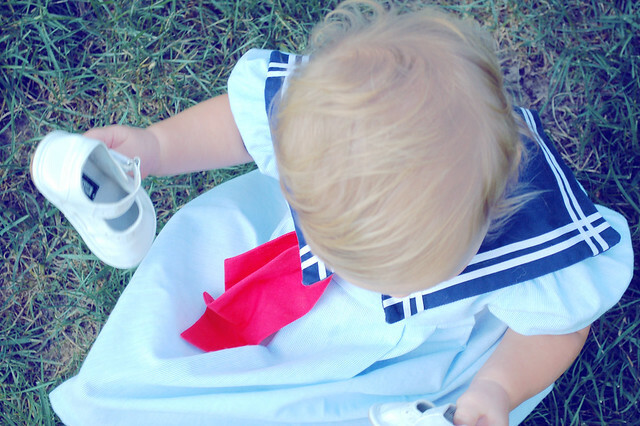 Oh my goodness, I recognize this dress...I'm certain I wore it when I was little! Your little one is beautiful, by the way. That dress is adorable- good find. 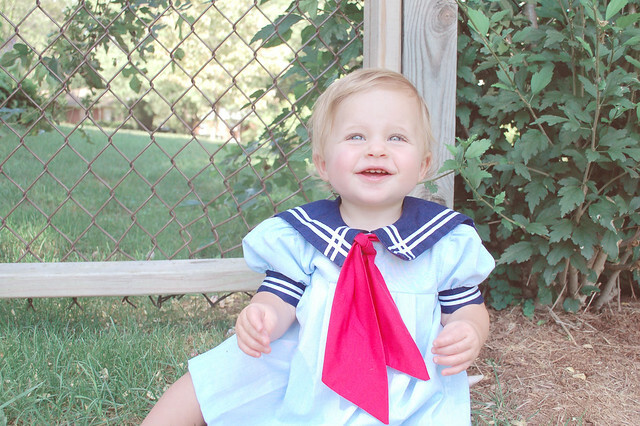 I love a sweet sailor dress for summertime and this one is super sweet! sooo cute, love that dress!